Why go to the trouble of installing a solar power system? 1. ENERGY INDEPENDENCE. People who rely on their solar array to supply them with enough power to run their households can become independent of the large energy utilities and the national power grids from which they would normally buy electricity. 2. REDUCTION IN COST. For many, the monthly cost of ownership is less than the cost of buying electricity from a utility, and most solar power systems will be paid for in 5 to 7 years, after which the electricity they generate will be virtually without cost. 3. PROPERTY VALUE. 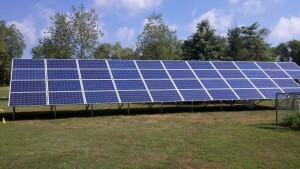 A solar power system increases the value of your property without increasing your real estate taxes. In New Jersey, solar power systems are exempt from property assessment indefinitely. 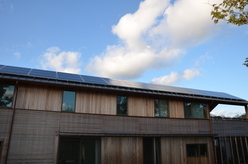 In Massachusetts, solar power systems are exempt from property assessment for 20 years (go to www.dsireusa.org and click on your state to view local property tax exemptions). 4. SELLING EXCESS ENERGY. In some states when your solar power system generates more electricity than you consume, the excess is sold back to the electrical utility, and they have to pay you for it. In other states the electric utility company acts as the battery for your system. During the day when you a generating more energy than you are using the energy goes back into the grid and your receive credits on your electric utility account. At night when you are using more energy than you are generating you use up those credits you generated during the day. 5. FEDERAL INCENTIVES. At the time of this writing, 2012, the federal government is offering a 30% tax credit on the cost of installed solar systems (go to www.dsireusa.org for details and to view other incentives listed by state). 7. PROTECTION. As we proceed into the 21st century, it is likely that the trend of rising fossil fuel prices will continue. A solar power system is an excellent way to minimize the effects of fuel price hikes on our lives. 8. ENVIRONMENTAL STEWARDSHIP. In addition to reducing the amount of greenhouse gases that you generate (as much as 25,000 tons per family, per year – which is quite a lot), using solar power reduces pollution in the ground and in our water; and as 50% of all electricity in the US comes from coal, it reduces the amount of strip mining that devastates so much of our beautiful wilderness.